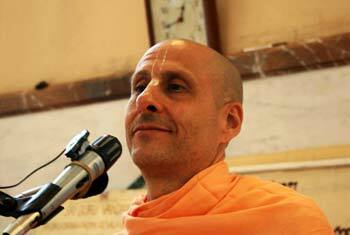 Question to Radhanath Swami: What exactly is this humility? 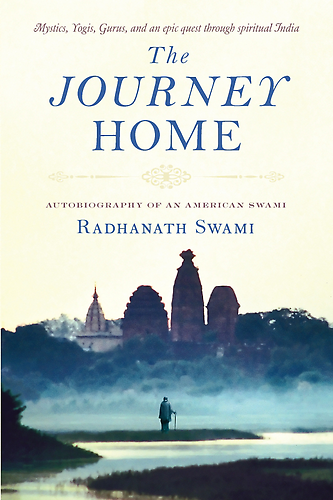 Radhanath Swami: Humility really means honesty. Humility is about simply being truthful. What do we have to brag about? If God does not make the sun rise, what will you do? Did you create your brain? Did you create your eyes to see? Did you create your heart to beat? Did you create your arms to act? As they say in British parlance, do not be proud of borrowed looms. Whatever we have is not ours. In the Kaöha Upaniñad 2.2.1 it is said that there is one supreme eternal and all others are subordinate to that supreme eternal. We are always subordinate to the supreme. But yes, we have the free will to use what God gives us either in a good way or in an evil way. And according to how we use it, Karma is going to come back to us. Still, all the facility we have to either use properly or misuse is coming from a power way beyond our own. Let’s take the example of Hitler. The Lord gave him that mind and body, but he totally misused it. He used it to kill others, torture others, and thus he accumulated mountains and oceans of abdominal karmas for himself. Ultimately he was dead and gone, and his soul had to go to the next place to meet his karmas. Another example is Alexander the Great. He came and conquered parts of India. But where is he now? He was conquered by time. So everyone is subordinate to the power of God. So to be humble means to be realistic and honest. To be proud is to simply be dishonest, ungrateful and unrealistic. To be proud is an illusion. Of course, in the world today, people like proud people. But the fact is it’s an illusion. And it’s a miserable condition to the heart. 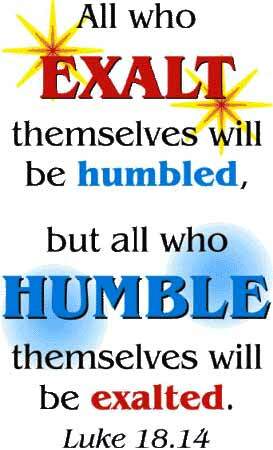 So humility means to have enough integrity to be honest with the reality of our life before Lord. But it has to be practiced and cultivated.